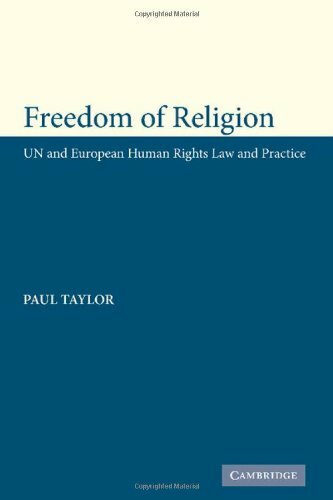 [PDF] Freedom of Religion: UN and European Human Rights Law and Practice | Free eBooks Download - EBOOKEE! Description: The scale and variety of acts of religious intolerance evident in so many countries today are of enormous contemporary concern. This timely study attempts a thorough and systematic analysis of both Universal and European practice. The standards applicable to freedom of religion are subjected to a detailed critique, and their development and implementation within the UN is distinguished from that within Strasbourg, in order to discern trends and obstacles to their advancement. No comments for "[PDF] Freedom of Religion: UN and European Human Rights Law and Practice".